Because of recent advances in medical technology, it is today possible to save or prolong the lives of many persons who in an earlier era would have quickly perished. Unhappily, however, it often is impossible to do so without committing the patient and his or her family to a future filled with sorrows. Modern methods of neuro-surgery can successfully close the opening at the base of the spine of a baby born with severe myelomeningocoele, but do nothing to relieve the paralysis that afflicts it from the waist down or to remedy the patient’s incontinence of stool and urine. Antibiotics and skin grafts can spare the life of a victim of severe and massive burns, but fail to eliminate the immobilizing contractions of arms and legs, the extreme pain, and the hideous disfigurement of the face. It is not surprising, therefore, that physicians and moralists in increasing number recommend that assistance should not be given to such patients, and that some have even begun to advocate the deliberate hastening of death by medical means, provided in-formed consent has been given by the appropriate parties. The intentional termination of the life of one human being by another—mercy killing—is contrary to that for which the medical profession stands and is contrary to the policy of the American Medical Association. The cessation of the employment of extra-ordinary means to prolong the life of the body when there is irrefutable evidence that biological death is imminent is the decision of the patient and / or his immediate family. The advice and judgment of the physician should be freely available to the patient and/ or his immediate family. Basically this view involves two points: 1) that it is impermissible for the doctor or anyone else to terminate intentionally the life of a patient, but 2) that it is permissible in some cases to cease the employment of “extraordinary means” of preserving life, even though the death of the patient is a foreseeable consequence. Rachels’ point is that decisions such as the one he describes as “patently cruel” arise out of a misconceived moral distinction between active and passive euthanasia, which in turn rests upon a distinction between killing and letting die that itself has no moral importance. One reason why so many people think that there is an important difference between active and passive euthanasia is that they think killing someone is morally worse than letting someone die. But is it? . . . To investigate this issue two cases may be considered that are exactly alike except that one involves killing whereas the other involves letting someone die. Then, it can be asked whether this difference makes any difference to the moral assessments. In the first, Smith stands to gain a large inheritance if anything should happen to his six-year-old cousin. One evening while the child is taking his bath, Smith sneaks into the bathroom and drowns the child, and then arranges things so that it will look like an accident. Rachels observes that Smith killed the child, whereas Jones “merely” let the child die. If there’s an important moral distinction between killing and letting die, then, we should say that Jones’ behavior from a moral point of view is less reprehensible than Smith’s. But while the law might draw some distinctions here, it seems clear that the acts of Jones and Smith are not different in any important way, or, if there is a difference, Jones’ action is even worse. In essence, then, the objection to the position adopted by the A.M.A. of Rachels and those who argue like him is that it endorses a highly questionable moral distinction between killing and letting die, which, if accepted, leads to indefensible medical decisions. Nowhere does Rachels quite come out and say that he favors active euthanasia in some cases, but the implication is clear. Nearly everyone holds that it is sometimes pointless to prolong the process of dying and that in those cases it is morally permissible to let a patient die even though a few hours or days could be salvaged by procedures that would also increase the agonies of the dying. 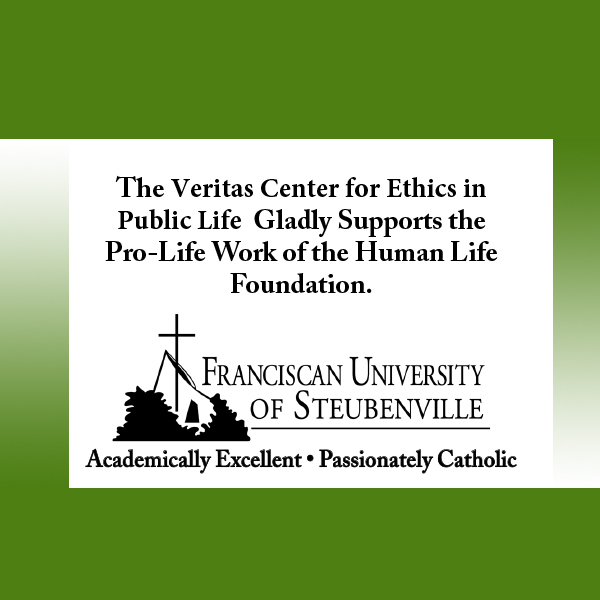 But if it is impossible to defend a general distinction between letting people die and acting to terminate their lives, directly, then it would seem that active euthanasia also may be morally permissible. Now what shall we make of all this? It is cruel to stand by and watch a Down’s baby die an agonizing death when a simple operation would remove the intestinal obstruction, but to offer the excuse that in failing to operate we didn’t do anything to bring about death is an example of moral evasiveness comparable to the excuse Jones would offer for his action of “merely” letting his cousin die. Furthermore, it is true that if someone is trying to bring about the death of another human being, then it makes little difference from the moral point of view if his purpose is achieved by action or by malevolent omission, as in the cases of Jones and Smith. But if we acknowledge this, are we obliged to give up the traditional view expressed by the A.M.A. statement? Of course not. To begin with, we are hardly obliged to assume the Jones-like role Rachels assigns the defender of the traditional view. We have the option of operating on the Down’s baby and saving its life. Rachels mentions that possibility only to hurry past it as if that is not what his opposition would do. But, of course, that is precisely the course of action most defenders of the traditional position would choose. Secondly, while it may be that the reason some rather confused people give for upholding the traditional view is that they think killing someone is always worse than letting them die, nobody who gives the matter much thought puts it that way. Rather they say that killing someone is clearly morally worse than not killing them, and killing them can be done by acting to bring about their death or by refusing ordinary means to keep them alive in order to bring about the same goal. What I am suggesting is that Rachels’ objections leave the position he sets out to criticize untouched. It is worth noting that the jargon of active and passive euthanasia—and it is jargon—does not appear in the resolution. Nor does the resolution state or imply the distinction Rachels attacks, a distinction that puts a moral premium on overt behavior—moving or not moving one’s parts—while totally ignoring the intentions of the agent. That no such distinction is being drawn seems clear from the fact that the A.M.A. resolution speaks approvingly of ceasing to use extraordinary means in certain cases, and such withdrawals might easily involve bodily movement, for example unplugging an oxygen machine. In addition to saddling his opposition with an indefensible distinction it doesn’t make, Rachels proceeds to ignore one that it does make—one that is crucial to a just interpretation of the view. Recall the A.M.A. allows the withdrawal of what it calls extraordinary means of preserving life; clearly the contrast here is with ordinary means. Though in its short statement those expressions are not defined, the definition Paul Ramsey refers to as standard in his book, The Patient as Person, seems to fit. Ordinary means of preserving life are all medicines, treatments, and operations, which offer a reasonable hope of benefit for the patient and which can be obtained and used without excessive expense, pain, and other inconveniences. Now with this distinction in mind, we can see how the traditional view differs from the position Rachels mistakes for it. The traditional view is that the intentional termination of human life is impermissible, irrespective of whether this goal is brought about by action or inaction. Is the action or refraining aimed at producing a death? Is the termination of life sought, chosen or planned? Is the intention deadly? If so, the act or omission is wrong. But we all know it is entirely possible that the unwillingness of a physician to use extraordinary means for preserving life may be prompted not by a determination to bring about death, but by other motives. For example, he may realize that further treatment may offer little hope of reversing the dying process and / or be excruciating, as in the case when a massively necrotic bowel condition in a neonate is out of control. The doctor who does what he can to comfort the infant but does not submit it to further treatment or surgery may foresee that the decision will hasten death, but it certainly doesn’t follow from that fact that he intends to bring about its death. It is, after all, entirely possible to foresee that something will come about as a result of one’s conduct without intending the consequence or side effect. If I drive downtown, I can foresee that I’ll wear out my tires a little, but I don’t drive downtown with the intention of wearing out my tires. And if I choose to forego my exercises for a few days, I may think that as a result my physical condition will deteriorate a little, but I don’t omit my exercise with a view to running myself down. And if you have to fill a position and select Green, who is better qualified for the post than her rival Brown, you needn’t appoint Mrs. Green with the intention of hurting Mr. Brown, though you may foresee that Mr. Brown will feel hurt. And if a country extends its general education programs to its illiterate masses, it is predictable the suicide rate will go up, but even if the public officials are aware of this fact, it doesn’t follow that they initiate the program with a view to making the suicide rate go up. In general, then, it is not the case that all the foreseeable consequences and side effects of our conduct are necessarily intended. And it is because the physician’s withdrawal of extraordinary means can be otherwise motivated than by a desire to bring about the predictable death of the patient that such action cannot categorically be ruled out as wrong. But the refusal to use ordinary means is an altogether different matter. After all, what is the point of refusing assistance which offers reasonable hope of benefit to the patient without involving excessive pain or other inconvenience? How could it be plausibly maintained that the refusal is not motivated by a desire to bring about the death of the patient? The traditional position, therefore, rules out not only direct actions to bring about death, such as giving a patient a lethal injection, but malevolent omissions as well, such as not providing minimum care for the newborn. The reason the A.M.A. position sounds so silly when one listens to arguments such as Rachels’ is that he slights the distinction between ordinary and extraordinary means and then drums on cases where ordinary means are refused. The impression is thereby conveyed that the traditional doctrine sanctions omissions that are morally indistinguishable in a substantive way from direct killings, but then incomprehensibly refuses to permit quick and painless termination of life. If the traditional doctrine would approve of Jones’ standing by with a grin on his face while his young cousin drowned in a tub, or letting a Down’s baby wither and die when ordinary means are available to preserve its life, it would indeed be difficult to see how anyone could defend it. But so to conceive the traditional doctrine is simply to misunderstand it. It is not a doctrine that rests on some supposed distinction between “active” and “passive euthanasia,” whatever those words are supposed to mean, nor on a distinction between moving and not moving our bodies. It is simply a prohibition against intentional killing, which includes both direct actions and malevolent omissions. To summarize—the traditional position represented by the A.M.A. statement is not incoherent. It acknowledges, or more accurately, insists upon the fact that withholding ordinary means to sustain life may be tantamount to killing. The traditional position can be made to appear incoherent only by imposing upon it a crude idea of killing held by none of its more articulate advocates. I fully realize that there are times when those who have the noble duty to tend the sick and the dying are deeply moved by the sufferings of their patients, especially of the very young and the very old, and desperately wish they could do more than comfort and companion them. Then, perhaps, it seems that universal moral principles are mere abstractions having little to do with the agony of the dying. But of course we do not see best when our eyes are filled with tears. 1. New England Journal of Medicine. 292: 78-80, Jan. 9, 1975. 4. Paul Ramsey, The Patient As Person (New Haven and London: Yale University Press, 1970), p. 122. Ramsey abbreviates the definition first given by Gerald Kelly, S.J., Medico-Moral Problems (St. Louis, Missouri: The Catholic Hospital Association, 1958), p. 129. 5. C. S. Lewis, A Preface to Paradise Lost (London and New York: Oxford University Press, 1970), p. 126. Thomas D. Sullivan is Professor of Philosophy, Aquinas Chair in Philosophy & Theology at the University of St. Thomas in St. Paul, MN. He has contributed to a number of American scholarly journals. 13,342 people have visited this page. 1 have visited this page today.